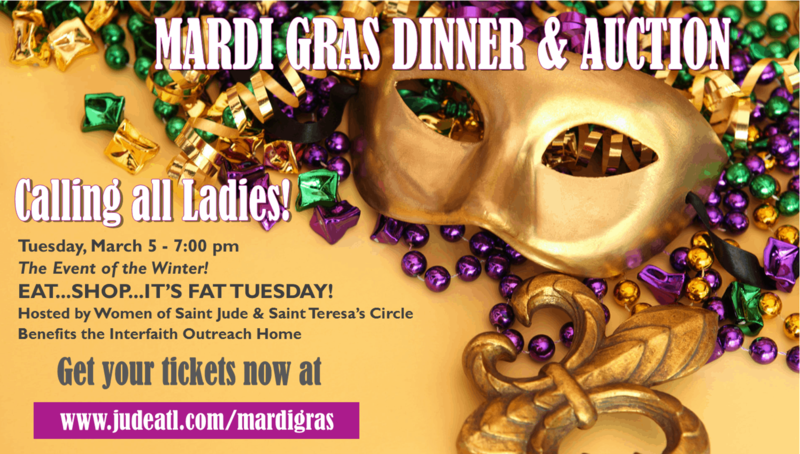 Come join us for our annual Mardi Gras dinner and auction benefiting the Interfaith Outreach Home (IOH). It’s a wonderful evening of food, fellowship, fun, and shopping. We will have both a silent and live auction that night. Online ticket sales are now closed.